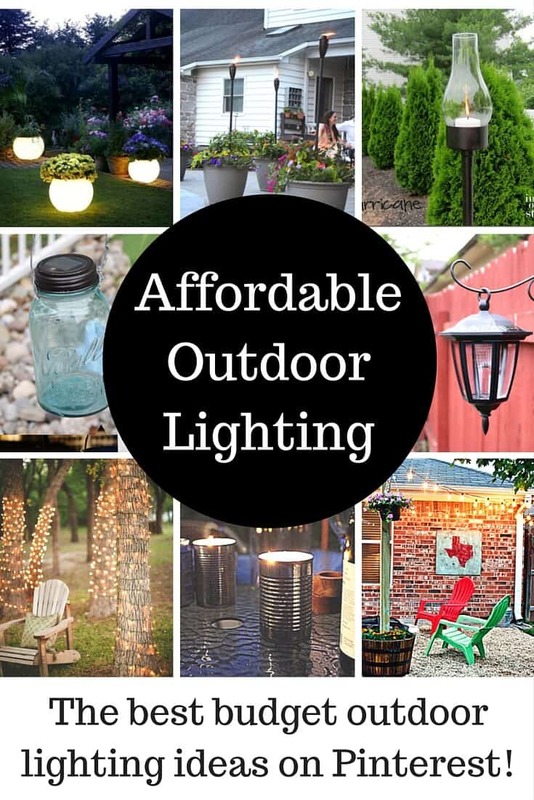 These outdoor lighting ideas will brighten any space. When the sun goes down, I love the ambience of twinkling lights. I’m especially happy that this isn’t limited to holidays these days. 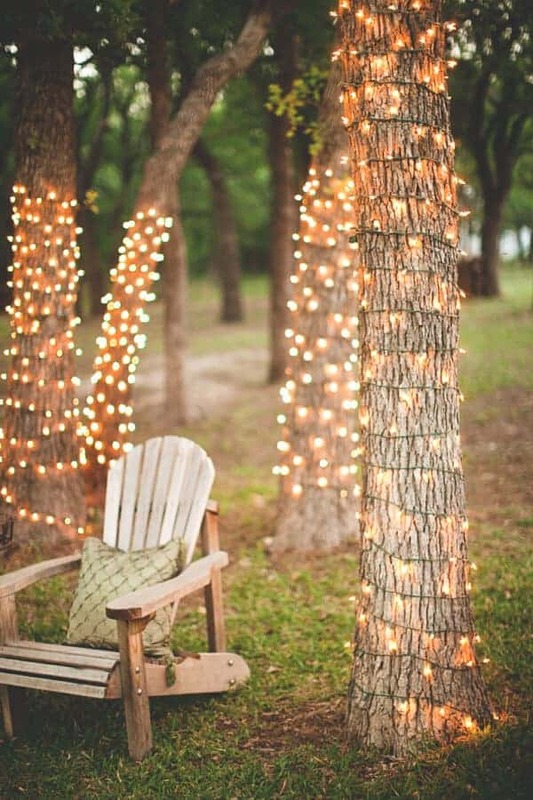 There are a ton of creative ideas to light up your yard, patios, decks, even just among the trees! 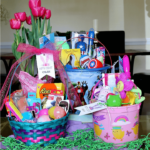 Are you ready to see what I’ve picked out to show you? I hope that you love them like I do. 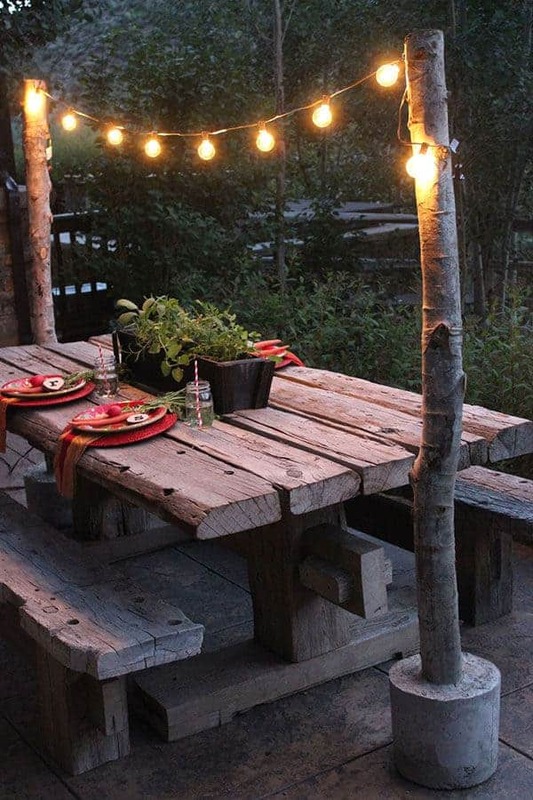 I love this idea for using concrete to anchor globe lights. Head on over to the Home Depot Blog to find out how to make your own! 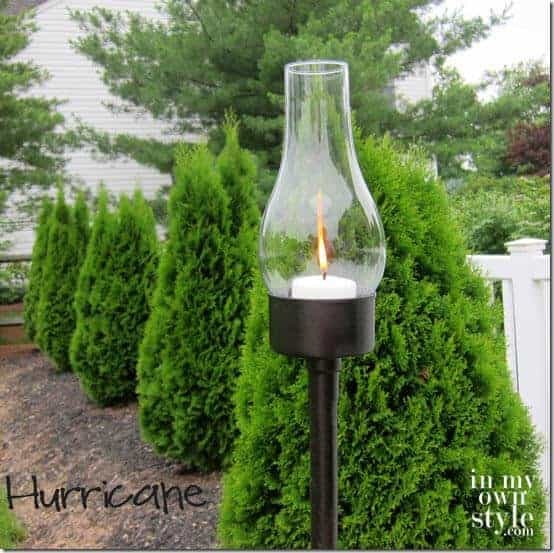 You guys have to see what Diane from In My Own Style used to make these classy hurricane holders. It will blow your mind. I can only imagine how excited Running with Scissors was when she found these solar hanging coach lanterns at her local discount store. This is a genius idea! 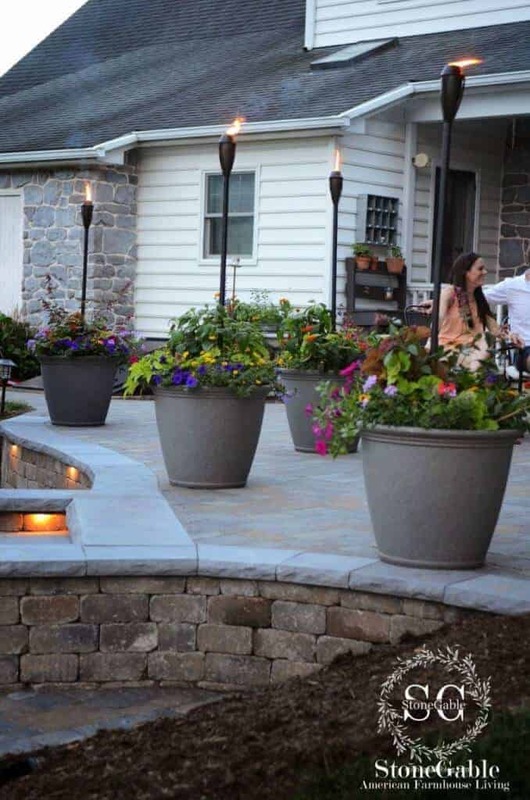 How smart is this idea from StoneGable to pot tiki torches? 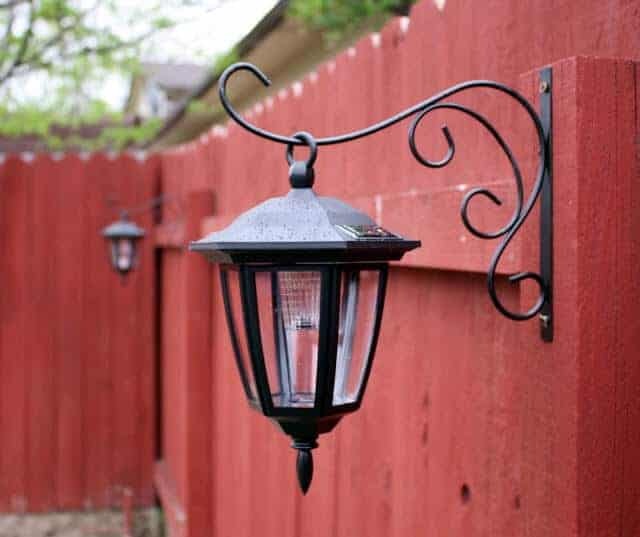 This is great for decks or patios where you need the light closer, but don’t have the yard space. 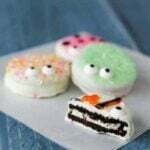 Ready for some cute-ness? 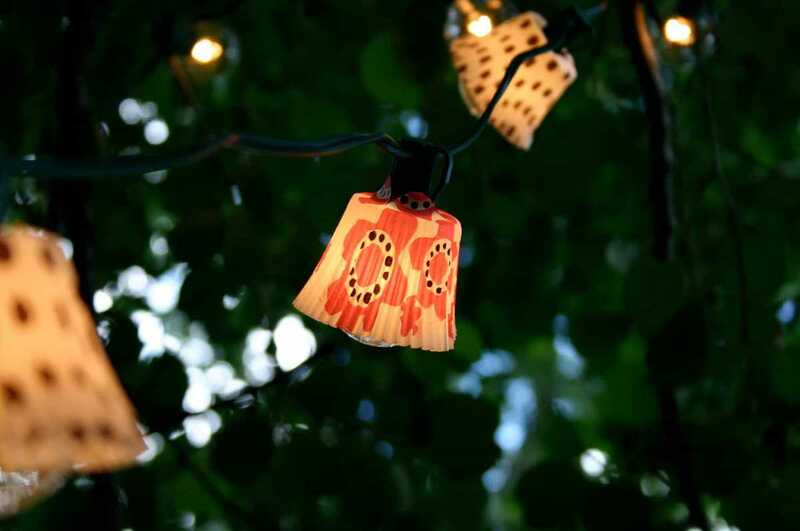 Family Chic used cupcake liners to jazz up these simple lights and they are out of this world cute. 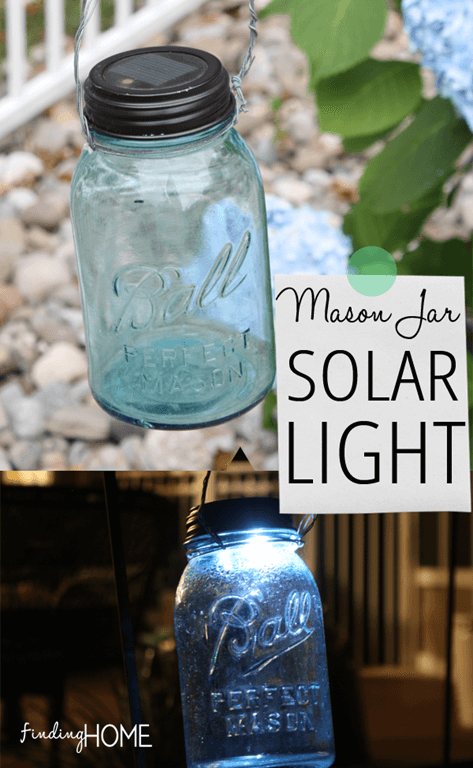 Turn new or vintage mason jar lights into solar lights to hang from hooks or even just set out on your deck. Finding Home Farms will show you how to make them and they are SO easy! Make your own citronella candles with Garden Therapy. These are so beautiful and will keep pests at bay! Can’t you just imagine just sitting in that chair? Talk about a dreamy space featured on the Ruffled Blog. Definitely looks easy, too. When I saw these planters on Indulgy, I immediately wanted to head out for some glow in the dark spray paint! Not only do I love the fun eclectic style of this fire pit from I Should Be Mopping the Floor, they have the real deal instructions on how to make a permanent, sturdy and well-made structure. 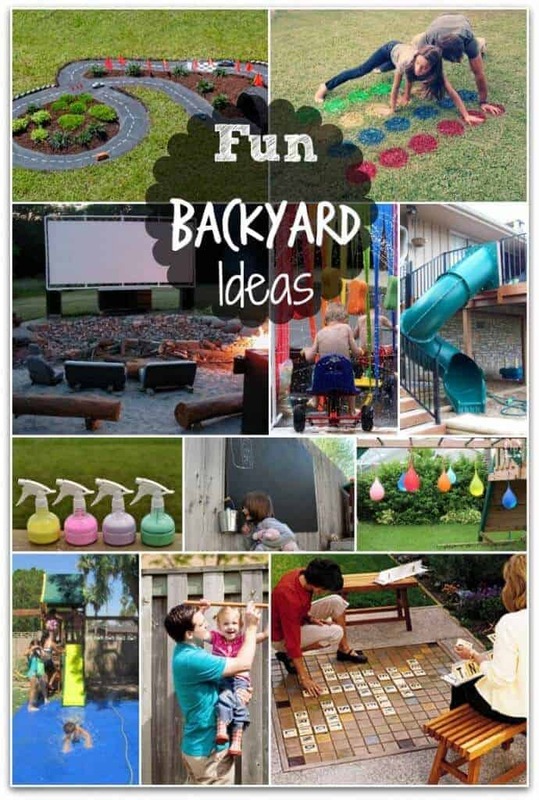 Looking for some other super fun outdoor ideas – just click on the pictures below! 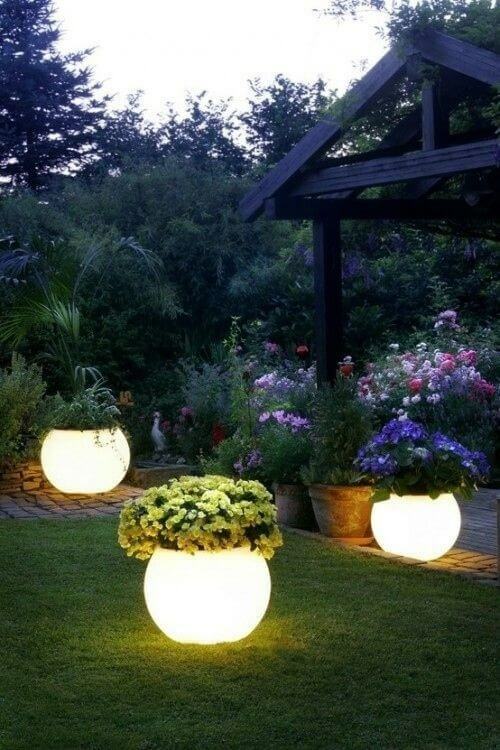 I love these outdoor lighting ideas. I think the option to have in your outdoor space will depend on what kind of mood you are looking to set. Thanks for sharing! 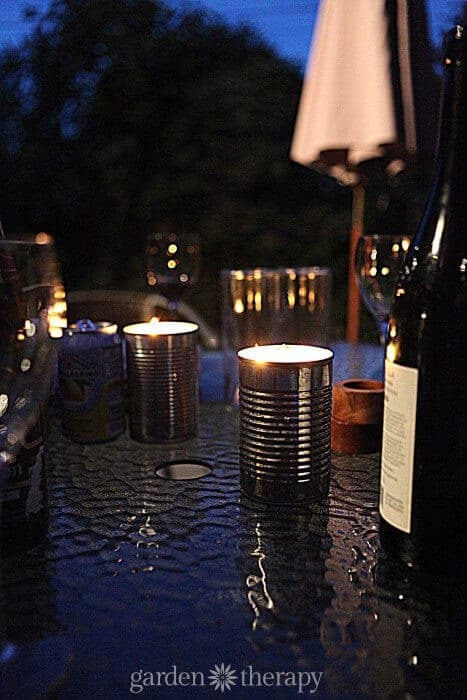 I’ve always been really impressed by the use of outdoor lighting in design, and my wife loves ideas off of Pintrest, so this is literally the perfect article for us. 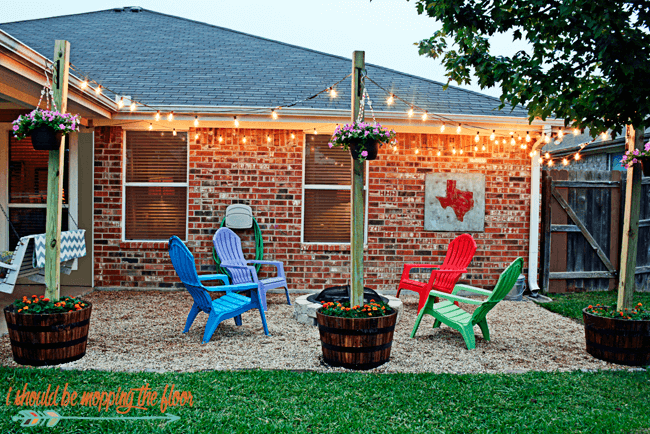 We’ve been trying to figure out how to make our back yard look a little more alive (especially at night), and we decided that lighting is going to be the way to do it. That only left us needing to find an idea that worked. I really like the idea of adding those light strands to trees, but I get the feeling my wife is going to like one of the many other options. But at least we have options now! Thanks for sharing. Wow, love the planters so much! 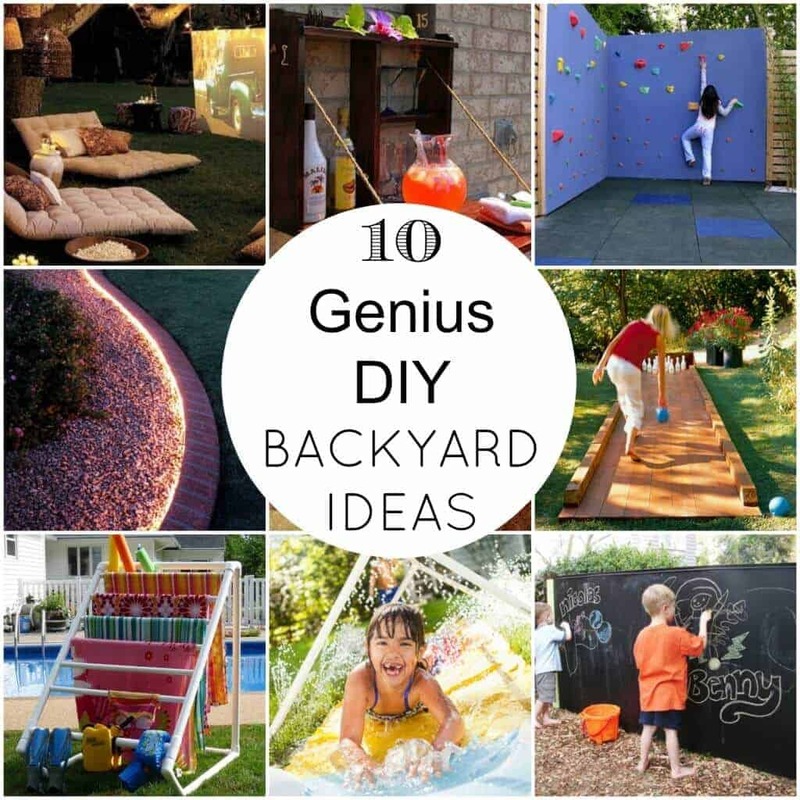 These will make the garden so awesome. 🙂 I really like the solar lights as well, very clever decor.